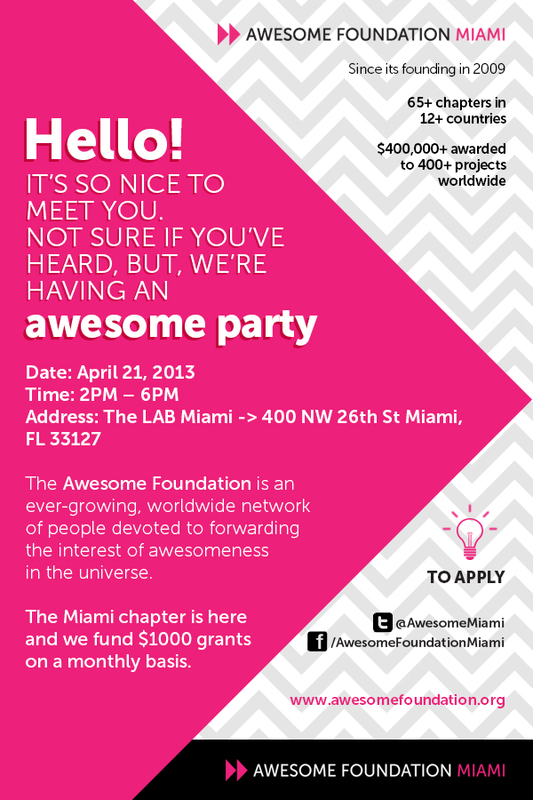 Awesome Foundation MIAMI’s First Event a Success! The Awesome Foundation MIAMI kicked introduced its first batch of grants with a Sunday event that brought together applicants, grant winners, family, friends, and a greater Miami network. It was a fantastic way to continue our introduction to the South Florida community! For photos of the event, see our Facebook album.